Andrew Heming's Blog: What is the Best Type of Cardio for You? Is this the best choice for you? Do you want to get ripped for summer? Do you want to pack on some quality lean muscle? Do you want to dominate the competition in your chosen sport? Do you want to get and stay healthy for years to come? If so you need to ask the question, "how does cardio fit with my goal?" 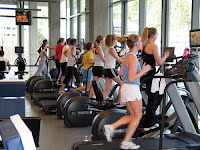 There are many different ways of doing cardio and each offers certain advantages and disadvantages. The big question is which one is best for you? Please allow me to help you answer this question. Let's look at 3 main types of cardio and the advantages and disadvantages of each. Description: this is working at a steady pace with a relatively low level of effort. Going for a brisk walk would be a great example. If your goal is general health, 30-60 min a day of brisk walking offers some tremendous benefits. If you have not see this video yet, check out Dr. Mike Evan's 23 and 1/2 hours video. It is an enjoyable and extremely informative look at the tremendous benefits of what adding 30 minutes of walking each day can do for your health. Enhanced recovery for high performance athletes. While this type of cardio will obviously not improve performance, the enhanced blood flow can help you recover faster between high-intensity training sessions. You cannot train hard every day. On the days you are not training hard, try some low-intensity cardio. Extra calorie burning. If you have your priorities for fat loss in check, this type of cardio can help burn a few more calories. Because the intensity is low, the body can easily handle this type of cardio with the slow-twitch muscle fibers. As a result, strength/speed/power athletes and those trying to gain muscle can add some of this in (e.g. 30 min brisk walk per day), gain the health and body composition benefits while not having it interfere with their goals. Great method for physique athletes (e.g. bodybuilders, figure competitors) preparing for competition. When you are already doing that much hard resistance training and eating a very low carb diet, it is really the best option. However, be prepared to spend a lot of time doing it (e.g. 1-2 hours a day). 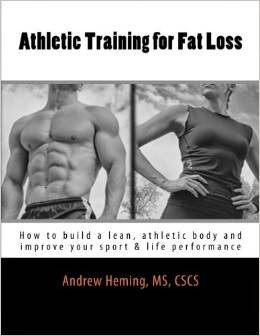 If using for fat loss, it is very time consuming (e.g. 1 hour, 1-2x per day). It also only really works to get lean if you are already doing more important things for fat loss (e.g. diet, weight training). It does not impact metabolism or EPOC. 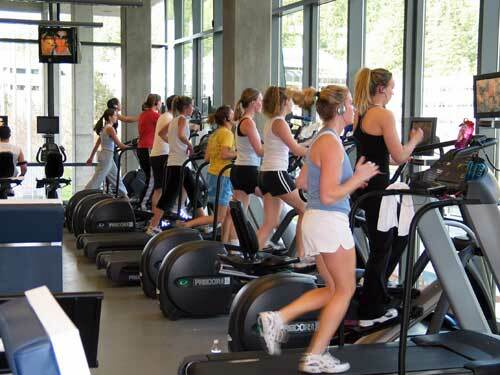 Description: this type of cardio is working hard at a steady pace. Going for a hard 30-60 min run/jog would be a good example of this. You do burn more calories than you do with low-intensity cardio. If you are in shape, you will get the runner's high (note: if you are not in shape, you will get the runner's low). Your body will need the fast twitch muscle fibers to help with the higher-intensity. This results in them taking on characteristics of slow-twitch fibers. If you are a marathon runner, this great! However, if you are a team-sport athlete, this results in a decrease of strength, speed & power - exactly what makes you a worse athlete! This type of cardio makes you more fuel efficient. If your goal again is marathon running, this is a great thing, but if it is fat loss, this you want to be fuel inefficient. Many people using only this type of cardio for fat loss hit a frustrating plateau long before they reach their goal. See my previous posts on The Limits of Cardio for Fat Loss and Becoming Fuel-Inefficient for Fat Loss for more details. Description: this style involves alternating between high and low intensity. For example, going to the base of a hill, running up the hill, walking back down and repeating. (For more on this style, see my post on Hill Sprints for Good Looks and Great Performance). Sport-specific for most sports. If you look at many team sports (e.g. soccer, basketball) you will notice that the sport is not a long, slow continuous jog around the field/court, but rather a series of sprints with short intervals between them. Interval training prepare the body for this tremendously well. While the high-intensity periods of exercise build up lactic acid, the aerobic system uses and clears this lactic acid during the low-intensity so you can keep going. Great for increasing EPOC and thus excellent for time-efficient fat loss. If the volume is not excessive, this style of training does not interfere with muscle mass, strength and power. 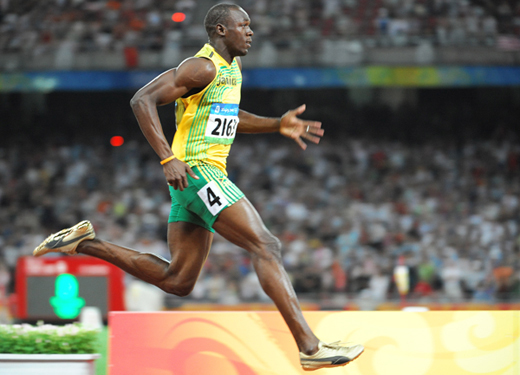 In some cases, activities such as sprinting can even help build lean muscle in the glutes and hamstrings. This is very important for anyone trying to build muscle or improve performance. Time-efficiency. Interval training is hands-down the most time-efficient way to do cardio. A great session can last about 10-20 min and in some cases as little as 4 minutes. Many great options: sprints, hill sprints, sleds, prowlers, skipping ropes, sledge hammers, battling ropes, bikes and many, many other modes of training can be used with this method. Many of the options are easy to progressively increase intensity (e.g. add weight to the sled, increase the level of resistance on the exercise bike). There is a higher risk of overuse or overtraining. Also you are limited in how much you can do before you get into problems. Some modes are not safe/practical (e.g. sprinting on a treadmill - see this video for some of the best treadmil accidents HERE). You need sufficient strength & fitness first. Trying to run sprints if you are weak and out of shape will likely get you injured. Fat Loss: prioritize high-intensity interval, but add extra low intensity in as time permits and to assist with recovery. Muscle Gain: small amount of high-intensity. Do some brisk walking for health, recovery and to help minimize fat gain. Aerobic Athletes (e.g. marathon runners): will likely use a lot of moderate-to-high intensity steady cardio. However the interval is a very helpful supplement for some of your training. Low-intensity is great for recovery. Most Athletes: high-intensity interval for conditioning, low-intensity steady state for recovery. Cardio enthusiasts (i.e. you simply love activities like distance running or cycling): whatever you love to do.